Christina Milian released a music video for new single "We Ain't Worried" on Wednesday. The star is starring in a new sitcom called “Grandpa” and will portray a woman attracted to a father (John Stamos) and son (Josh Peck). Lil Wayne is doing a cameo thus far but how cute is it that they are able to work together. The 33-year-old singer and 32-year-old rapper were spotted holding hands on set of the new Fox pilot Grandpa. Milian and Lil Wayne have been the subject of dating rumors for months, and appeared happy and at ease in the photo. 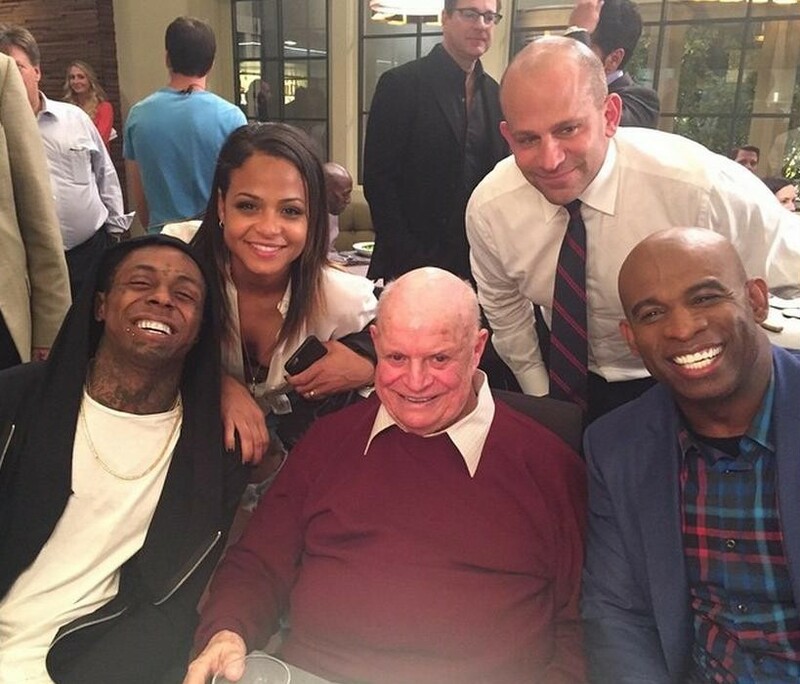 Milian later took to Instagram to share a picture of herself, Lil Wayne and several Grandpa Guest stars. "I think he's awesome," the singer said of her "man...crush" in a recent interview with Latina. "He and I have a very special relationship and I think I've always been very careful with it publicly because when you have something special it's like everybody picks apart words." Milian previously dated actor Nick Cannon, and married and separated from musician The-Dream in 2009. The former couple welcomed their first child, daughter Violet Madison, in February 2010, and finalized their divorce in October 2011.